ARH launches new website as part of our continuing rollout of our new brand identity. 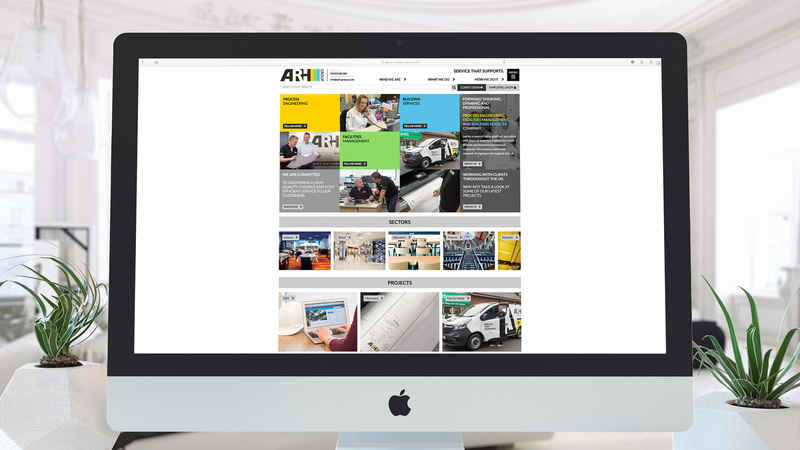 The new ARH website showcases our three key service divisions – Building Services, Facilities Management and Process Engineering – supported by details of our sector expertise and latest projects, with clients including Pets At Home, Morrisons and GEA. An important part of the project was to create a new website that conveyed the innovative and professional nature of the business and our talented and dedicated team. The previous website was developed over 5 years ago and was in need of an overhaul as it no longer reflected the today’s modern business and its growing areas of expertise. Responding to the growth in the use of mobile devices to access the Internet, the new website is fully responsive giving visitors a good user experience regardless of their device.